Toronto, Canada. : Gordon V. Thompson, Limited.. Good+. 1944. Soft Cover. 4to - 28 x 21.5 cm. ; 71 pp. Saddle-stapled binding. "One hundred complete lesson outlines in Music appreciation for School and Home eloquently explained through active record listening." Foreword by Leslie R. Bell, Silhouettes by Claire Senior Burke, Composers' Portraits by L. de B. Corriveau. Some sunning on card stock cover, light soiling and school stamp on cover and in text; binding sturdy, pages otherwise clean. .
Boston, Massachusetts. : Boston Music Company.. Good+. 1941. Hardcover. 4to - 27 x 21 cm. ; 61 pp. 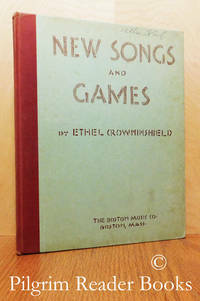 Crowninshield was an American children's song writer from early to mid twentieth century. 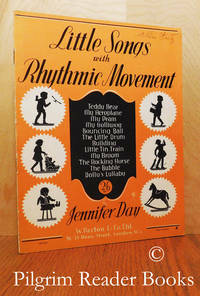 This collection of seventy-seven songs is a companion to her The Sing and Play Book. Paper-covered boards with cloth spine. Some edgewear and soiling on boards as well as the name of a former owner on the front board, some dog-earred pages and the occasional margin mark; binding sturdy. .
Little Songs with Rhythmic Movement. London, UK. : W. Paxton & Co.. Very Good. 1949. Soft Cover. 4to - 28 x 22 cm. ; 13 pp. Saddle-stapled binding. Collection of 12 songs and activity suggestions for very young children. 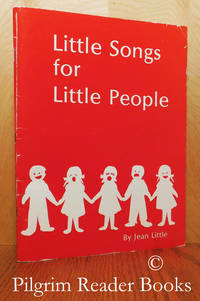 Former owner's name on front cover, minor edgewear. .
Little Songs for Little People. North Vancouver, British Columbia. : Seaside Press.. Very Good. 1986. Soft Cover. 4to - 29 x 22 cm. ; 69 pp. Saddle-stapled binding. A collection of songs for children, kindergarten to grade 3. 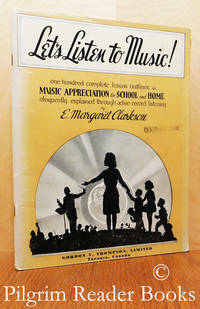 Original songs by Jean Preece Little, used successfully in Canadian classrooms. Some wear on cover edges, text pages clean and binding sturdy. .